Travel from the Orlando International Airport (MCO) to your Orlando hotel in a luxury sedan or SUV! This worry-free and stress-free, private airport transfer will meet you as you exit the terminal and whisk you off to the hotel of your choice. Start your trip to Orlando with this hassle-free, private transfer from the Orlando International Airport to your Orlando hotel. You will be picked up curbside at the Orlando airport by private luxury sedan and whisked off to the Orlando hotel of your choice. Whether you're alone or with a family of four, you will surely find this airport transportation comfortable, reliable and efficient. Transfer services are available 24 hours a day, seven days a week! 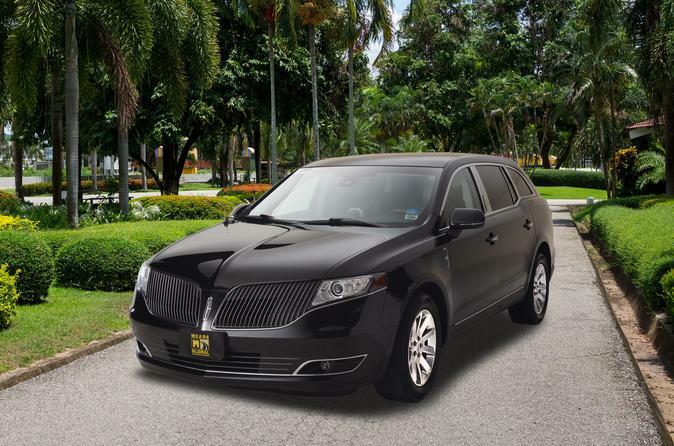 When making a booking for this private arrival transfer from the Orlando International Airport to your Orlando accommodation, you will need to provide your flight details and your Orlando hotel details. Your transfer will be confirmed within 24 hours of booking, and you will be provided with a travel voucher to present to the driver. It's that easy! Click View Additional Info to view the list of hotels you may be dropped off at.